Update: I have a Sony XperiaZ5 compact Android version 6.0.1 I tried restaring the app and the phone multible times. I also reinstalled the app, which also didn't fix the Pokedex. Beforehand the Pokedex glitched and scrolled, just as your described. After I installed the updated, I was able to load the Pokedex and view the Pokemon with no issues at all. I had this issue and it was due to my touchscreen not registering that I had removed my finger. A restart of the phone resolved the issue. It might also be worth clearing your cache or re-installing the app. You won't lose anything doing this, because all of your data is stored on your account, not your phone. How do I fix “GPS not found”, “failed to detect location”? Is there a fix for the white screen when opening the PokéStore? Could the new Nearby feature actually hide rarer Pokémon from Sightings? 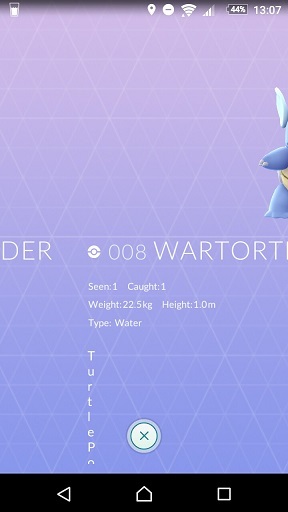 Higher Pokedex Pokemon missing from Pokemon Go? How can I take a full screenshot of the Pokedex?